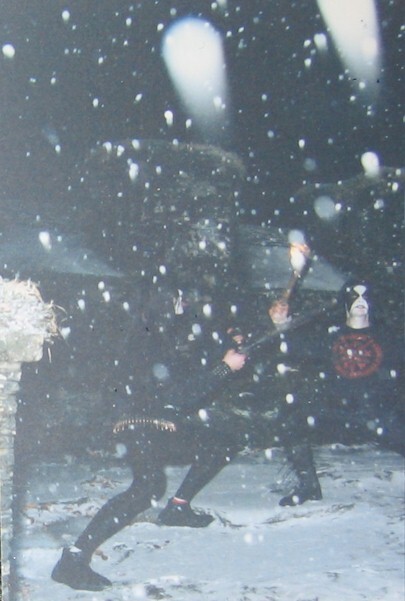 Abbath doom Occulta and Demonaz doom Occulta, created Immortal in the autumn of 1990. They had both been involved in the Norwegian metal scene for a couple of years, Abbath in Old Funeral and Demonaz in Amputation. 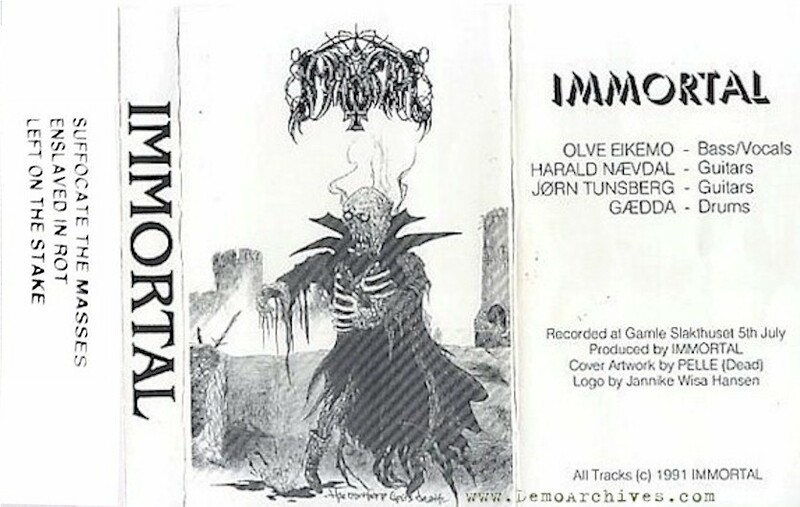 The original line-up of Immortal was completed by Guitarist Jorn Inge Tunsberg and Gedda. Even though Armagedda remained in the band for nearly two years, he didn't have the same attitude as Abbath and Demonaz. This would later become the reason for his departure. Still in a heavy period of inspiration, the band started to write some material in the winter of 1990-91. Intense rehearsing followed and later in 1991 they recorded their first demo entitled "Suffocate". Guitarist Jorn got kicked out of the band. He started Hades later on. Immortal have never returned to the four-piece line-up again. Meanwhile, French label Listenable Records showed interest in the demo and wanted the band to do a 7" single. Unknown year. 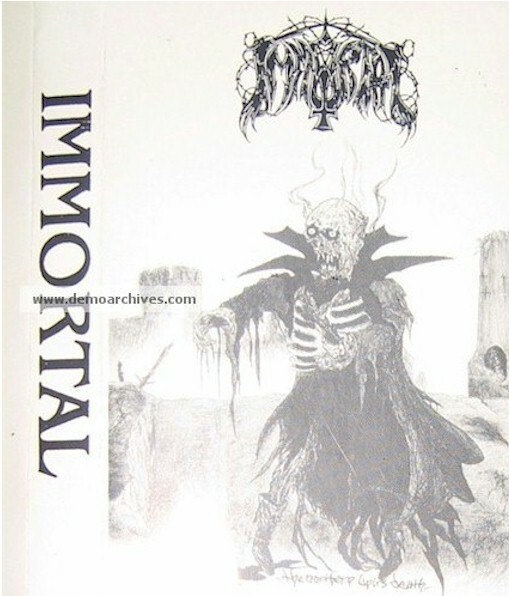 It was a promo tape that they sent around to record companies after the first demo and Immortal thinks that it has the same tracks as on the debut single. It was only made in a few copies to send to record companies. The picture that came with the tape ended up as a cover for the 19945 PROMO CD of the "Battles In The North". Printed on thicker than usual paper. It has no panels, so what you see below is what you get. Band info handwritten on back. 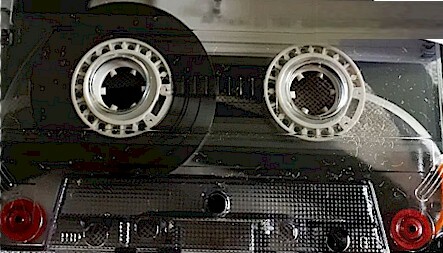 The tape is a studio tape with a sticker on the shell. 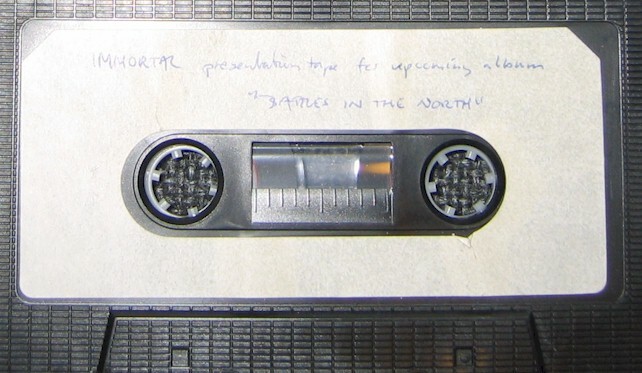 The tapes says its a presentation demo for the upcoming album 'Battles in the North'.